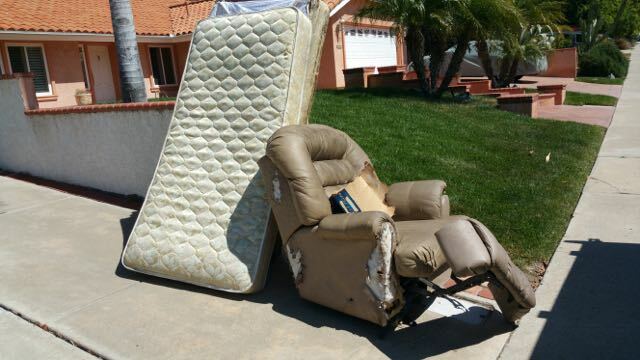 We are the only junk removal service in San Diego to offer clear, up-front and affordable pricing for mattress removal and recycling. Book online today to lock in your flat fee for mattress pick up and disposal. BIGGER JOBS – MORE MATTRESSES? This is for curbside removal. Any mix of three large junk items, three mattress sets or other items. Mattress removal has never been easier or more affordable. Fred’s Mattress Removal service offers a super value that is easy to schedule and is in your neighborhood daily. We remove all types and sizes of mattresses including king size mattresses, queen size mattresses, full and twin mattresses as well. All paid mattress removals also get free basic metal frame removal with each mattress set. Want a great deal on mattress removal? Our mattress removal fees begin at $49 for a single mattress, mattress set or box spring. Book online today for a low price and easy mattress removal. How do you dispose of an old dirty mattress? Where do you dispose a mattress? 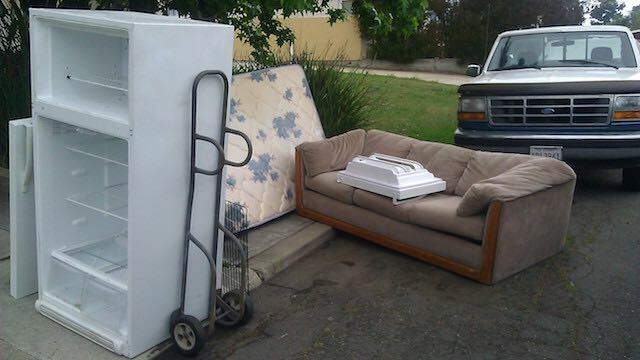 Fred’s Junk Removal is the mattress disposal service that is one call and we handle it all. We specialize in responsible mattress disposal. 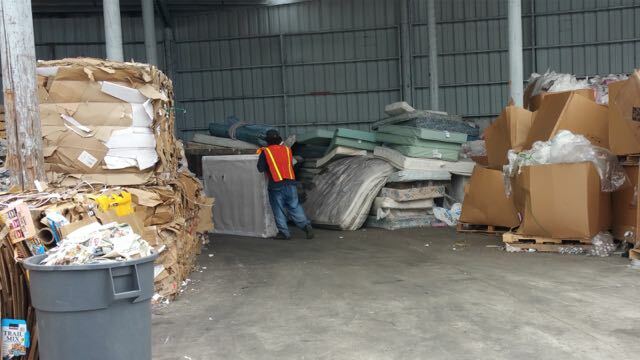 We do not dispose of mattresses in the landfill, we recycle mattresses, box springs and even the metal frames! Proper mattress disposal by recycling allows the materials to be recovered while saving much needed landfill space and because we choose to dispose of your mattress by recycling you save lots of money. 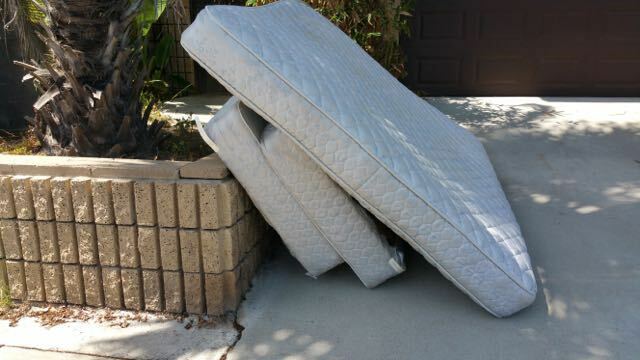 Mattress disposal fees start at $49 for curbside mattress pick up. 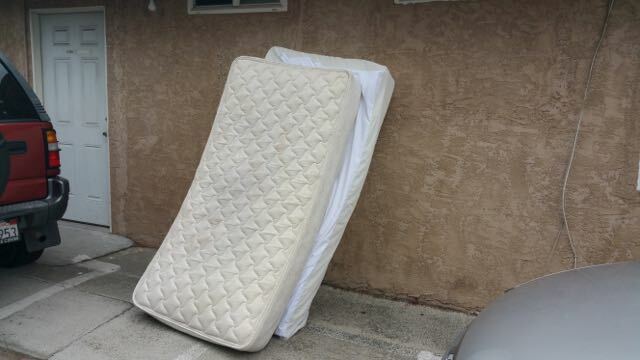 If you are in the need of a mattress disposal service please book online. Many mattress sellers offer free mattress haul away when you pay them to deliver your new mattress. What if you have a mattress shipped or buy your new mattress at a big box store like Costco. 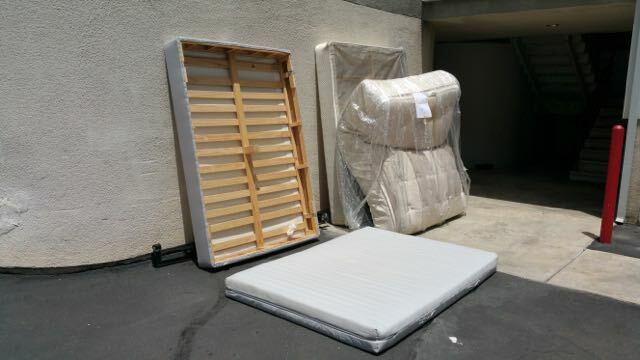 Fred’s Junk Removal offers a low price mattress haul away service that is top rated in San Diego and we often get referrals from mattress discounters for their customers that need mattress haul away. 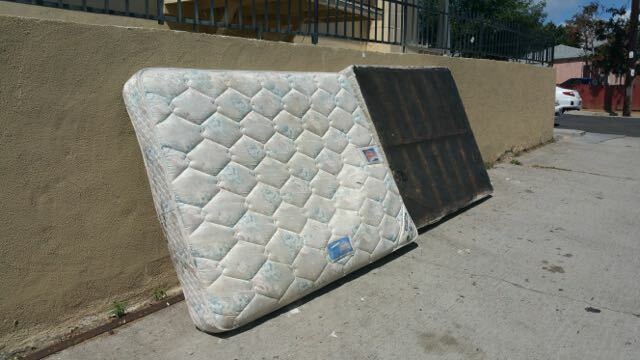 We haul away any size or type mattress and with any paid mattress haul away we’ll take the basic metal frame for free. Mattress haul away is our most popular request because of our excellent reputation for dependability, low prices and easy mattress haul away scheduling. 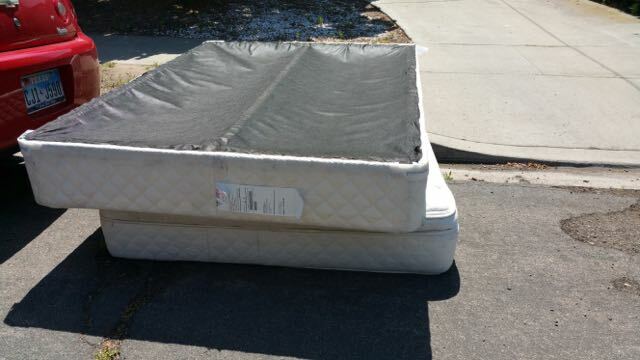 Mattress haul away fees start as low as $49 for a mattress set hauled away from a drive up or curbside location. Need a mattress pick up? 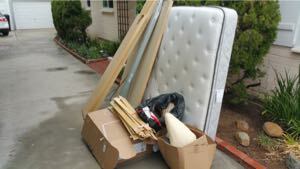 Fred’s Junk Removal is San Diego’s top rated cheap mattress pick up service. 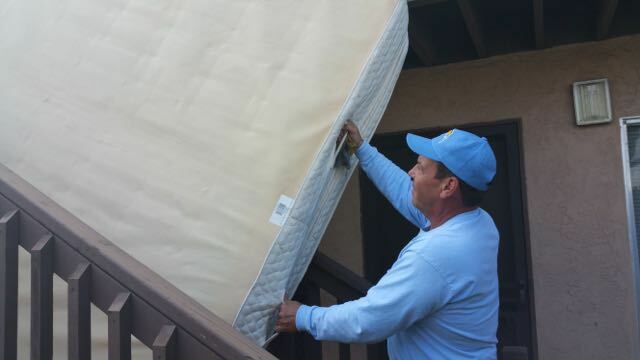 We pick up mattresses throughout central San Diego on a daily basis and will be in your neighborhood today! To schedule a mattress pick up please book it online and we’ll take care of the rest. You don’t even need to be home for your mattress pick up, simply book your mattress pick up online, choose curbside mattress pick up and then leave your mattress in the driveway. Mattress pick up fees start at $49 for a set and we’ll pick up the basic metal frame for free. Are you in the need of a cheap mattress removal service? 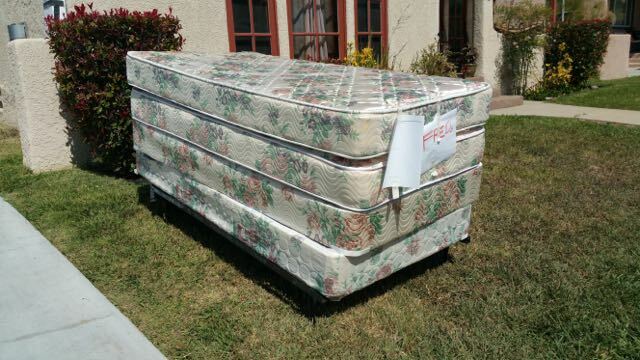 Fred’s Junk Removal is the top rated mattress hauling company in San Diego. We specialize in cheap mattress removal and have a 14 foot truck and 12 foot dump trailer that is made for mattress removal. 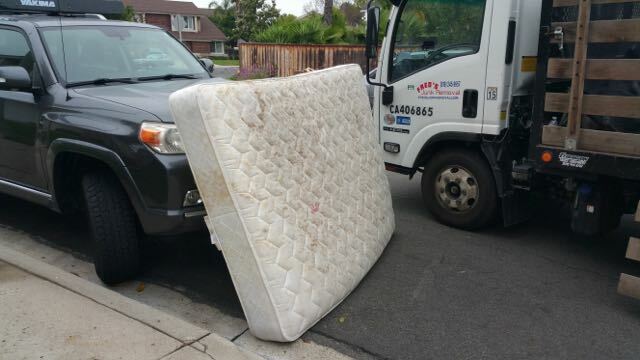 Our mattress hauling specialties include mattress disposal and mattress recycling. 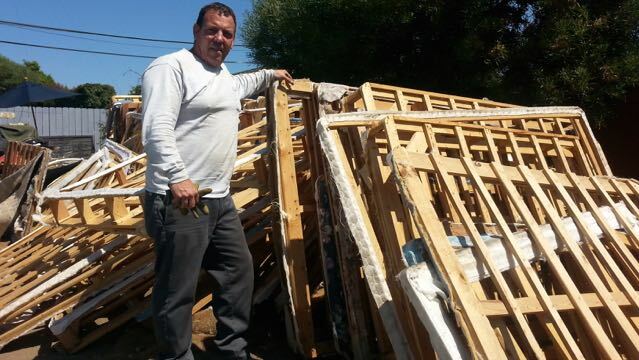 We keep our mattress removal prices at a minimum by recycling and reusing mattresses and box springs. When choosing a cheap mattress removal service in San Diego keep choose a service with a reputation for dependability, low prices and recycling efforts. 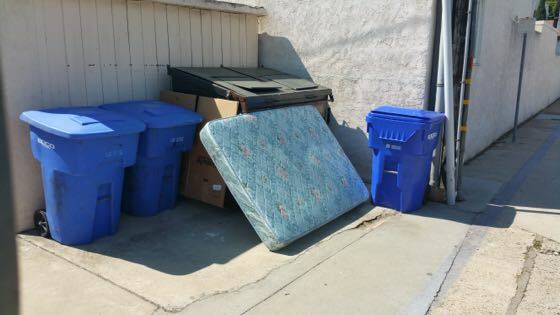 fred’s mattress removal has completed over 8,000 cheap mattress removals and is top rated on Angie’s List Yelp in the junk removal and hauling category. 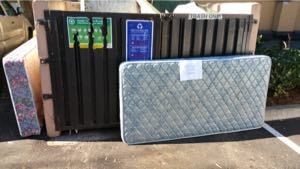 Recycling mattresses and box springs is how we keep our mattress pick up and disposal fees so low. 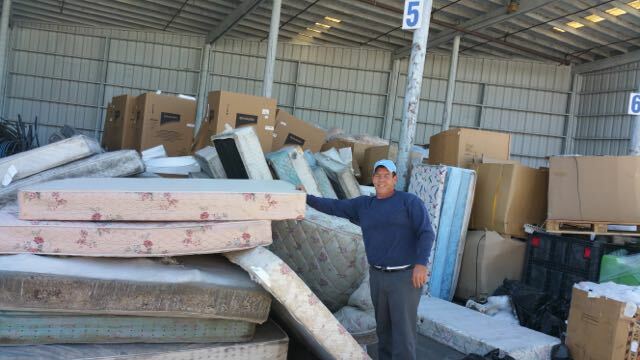 There are so many materials in a mattress that can be recycled and with the new laws in California requiring mattresses to be recycled it only makes sense to use Fred’s Mattress Removal Service to ensure your mattress and box springs are recycled and not dumped in a San Diego landfill. 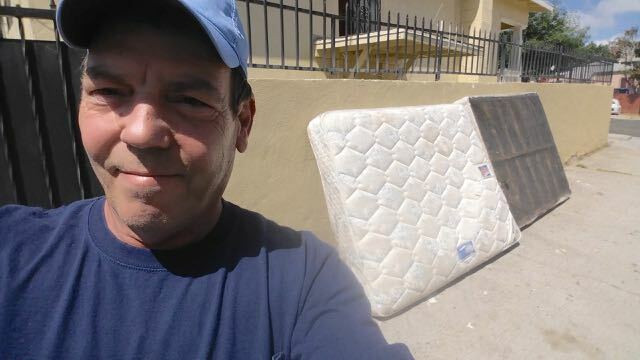 We have recycled thousands of mattresses since 2005 and we are the only mattress removal service in San Diego that actively recycles mattresses. It’s easy and affordable to have your mattress recycled, simply book a mattress disposal appointment here on our website and we’ll handle the rest. Mattress removal and recycling fees start at $49 for a mattress set and we’ll recycle the metal bed frame for free. Look no further for convenient and easy mattress removal. Our service is easy on the environment and your wallet. 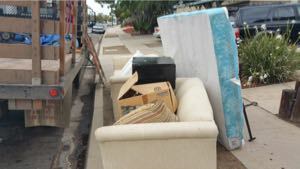 More San Diegians choose Fred’s Junk Removal because customer satisfaction is our number one priority. 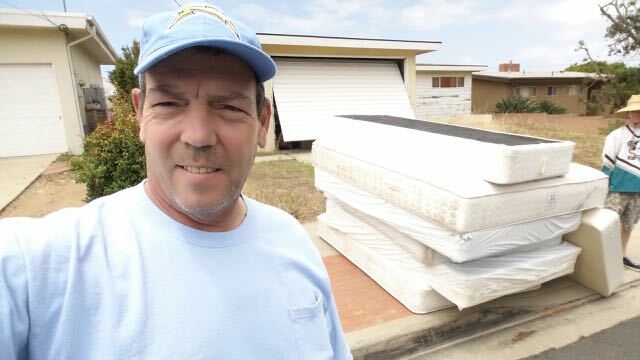 We provide the best old mattresses removal deals and services to all areas in Central San Diego including but not limited to Chula Vista, Downtown San Diego, Point Loma, Pacific Beach, Clairemont, National City, Linda Vista, North Park, Imperial Beach, Hillcrest, Mission Valley and most points in between. We'll pick up your old mattress and box spring for $49. For $79 you can add a wood bed frame and headboard. We recycle and reuse more than 90% of the beds we haul away in San Diego. We have a service and price to fit into any budget or need. Choose between our full service mattress and box spring removal for $79 or save and pay only $49 for any size mattress and box spring removal from a drive up location. 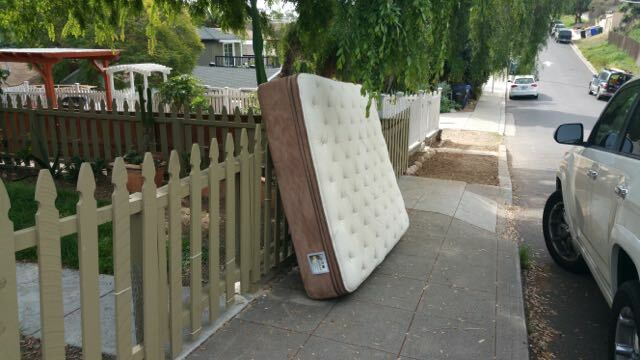 If someone has dumped a mattress on your property - Give us a call and we'll haul it away for only $49. Got More Than Just A Mattress? 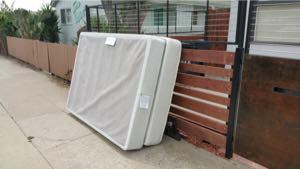 If you need to get rid of a mattress along with other junk you may choose to hire us for a junk load - This one was only $99 total!